Surprisingly enough, genuinuity in the music industry is hard to come by. But there’s a culture in Seattle that’s been bubbling up for quite some time. One that celebrates that uniqueness that this city’s music business has to offer. One that is full of genuine artists and professionals, just looking to lift each other up. 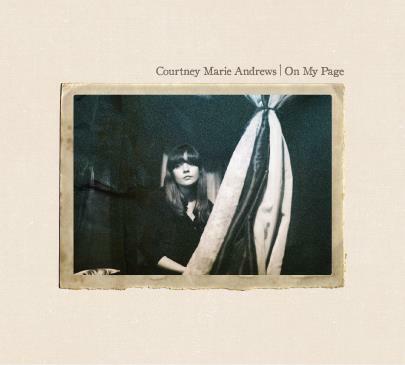 It’s a beautiful thing when an artist is transparent, desires the best for people and is full of talent; Courtney Marie Andrews is one of those gems. Andrews is a young singer/songwriter living in Seattle, and she is quickly becoming the talk of the town. 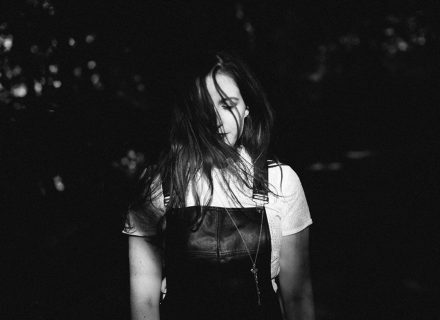 On the brink of releasing her fifth album, On My Page, Courtney was kind enough to sit down with SSG to answer some questions about being young in the industry, touring with Jimmy Eat World, and her new album due out this month. SSG: You’re originally from Phoenix, correct? What was the ultimate reason for your move up to Seattle? 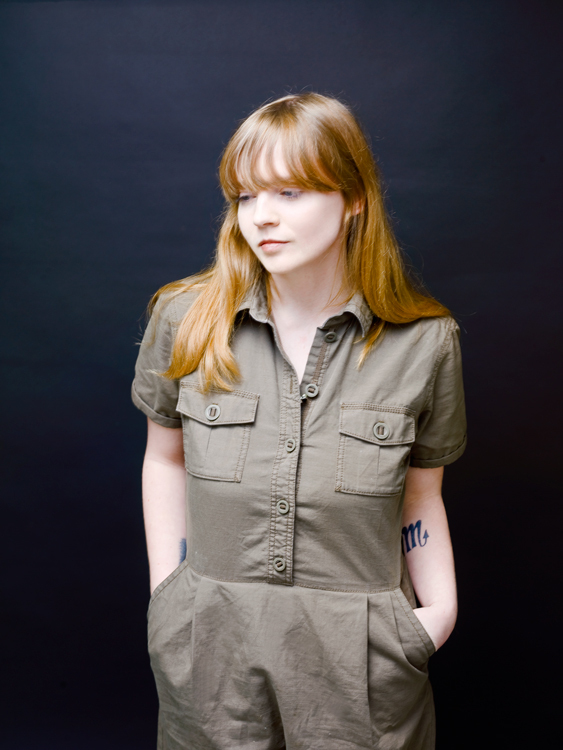 Courtney Marie Andrews: Well, I’ve been touring a lot since I was 16 and I have come up here every tour, probably about 3 or 4 times before I actually moved here, and just fell in love with it. I really loved how there was a giant, thriving music scene here and also the scenery is really inspiring. Phoenix definitely left an imprint on me… just because I grew up there and my foundation was there. There was a really great community for music there. I definitely have a little bit of desert left in me. SSG: Looking back on Urban Myths, your first album, is there anything that you would change now? CMA: I think that every artist would probably say yes to that question. It’s really hard to look back on your past records, especially because I was so young and it was my first attempt at a CD so it’s one of those things that I would probably want to change now, but it’s just sort of there. I probably wouldn’t change anything, though, just because I wouldn’t have known to. SSG: So were you 17 or 18 when you put that out? SSG: And you’re 22 now. You’re still young! When listening to your singing voice it sounds very mature. I would never guess your age from that. Have you been mistaken for being older than you are? CMA: When you’re a musician that is really young, you tend to spend time around a lot of people who are a lot older than you. I have been hanging out with people ten years or more older than I am. You sort of pick up on habits of people that are older than you. I definitely have been mistaken for that. SSG: How has it been as a young woman growing, not only musically, but in general for the past five years in this industry? CMA: Honestly I don’t let it affect me too much. I don’t feel any different than anybody else. I am very independent and I won’t let anything stop me as far as what I want to do. If I have an idea it’s sort of a tick and it just ticks and ticks until I have to face it. I have always been that way. I never let the idea of me being a girl ever stop that. SSG: How old were you when you initially started song writing? CMA: I wrote my first song when I was 14. SSG: Was that more of an outlet and a release than really wanting to pursue music as a career? CMA: Definitely. What happened was me and a couple of girls from Phoenix all played an instrument. I started playing guitar, and the idea of writing a song had never even crossed my mind. I had always really loved words and expressing with words, and I had written poetry when I was younger and that sort of thing. But we got together when we were in 8th grade and decided to try and write a song together. We couldn’t really come up with anything together so I was like ‘I’m just going to try and write a song’. So I started writing songs because of that and I started recording my own songs when I was about 15. SSG: Have any of the very first songs you wrote shown up on any of your albums? CMA: No! [laughs] None that I would show anyone. I was much more influenced by punk-rock music when I was that age so a lot of my songs were more power-chord driven, me trying to yell and that sort of thing. That was me trying to find myself. That changed very quickly, though. It was only like a year of that. Then I started writing songs and realized that I didn’t really like that music and it didn’t really ring true with me anymore. Somebody introduced me to Iron & Wine and my mind changed. It was like ‘This is what I want to do’. SSG: What sort of musical influences do you draw on? CMA: It varies year to year. For a while I really was influenced by things made in the nineties until now—really new stuff. Really the last year I just love old country songs, Appalachian songs and that sort of thing. Some of them are 200 years old but you can’t even put a number on it really. Somebody passed it down generation to generation. I love that style of music: just the idea that a song is so good that it has been sung for that long. SSG: Would you want your music to be around for that long? CMA: I don’t know. It wouldn’t even be mine at that point. If it was passed down for that long it would be the people’s song. And that’s what is great about folk music. These songs came from this one person but they are the people’s songs. A song that everyone can sing. SSG: What non-musical influences lend to your sound? CMA: Traveling. Definitely. Traveling makes me the person I am. It’s a huge imprint on my music and myself. Which works out because as a musician you have to travel a lot. I really love Scotland. I would probably live there. SSG: When you are singing it almost sounds at some points as if you have an accent, whether it be Irish or Scottish, there’s something there. CMA: I’ve gotten that before. I actually got singing work with this guy, Marc Carroll from Ireland. He’s on One Little Indian Records with Bjork. And the guy who produced my last record got me to sing on a song with him because people were always asking him “Is she Irish?” And I’m not. I’m Danish. I think there might be a little Scottish in there. SSG: How do you let loose and have a good time when you’re not focused on music? CMA: My favorite stress reliever is to play the drums. Besides music, though, I love to read, hiking, painting… long walks on the beach, just kidding. SSG: What’s your guilty pleasure? CMA: Putting myself in ridiculous situations on purpose just to have an experience. Once I impulsively took a greyhound bus from Phoenix to New York City. I had never been before and wanted to. I bought a ticket and slept on this bus for four nights. I met a bunch of crazy people, like pimps. It’s terrifying when you’re alone. I feel like whenever I get too comfortable I am thinking, ‘What can I do to change this?’ I need some sort of drastic change. SSG: Seattle is exploding with this singer/songwriter, new-folk scene right now. Is it difficult to stand out from all of these musicians who are doing similar things while also staying true to what your art form is? CMA: I have always played songwriter music since I started. I have never thought about it like that. It is interesting how this new-folk revival is happening. It’s definitely not folk music any more—it’s very different than that. I just sort of try and get better every day and try to one-up myself. I never really think about trying to one-up anyone else. I do this because I love it. I want to improve every step of the way. There is always something more you can learn. There is no stopping. SSG: How do you give your audience what they’re looking for? CMA: You know, I definitely have gotten caught up with that sort of thing before. But I’ve learned, especially in the last few months, that you just can’t do that. You just have to play exactly what you want to play. If you get caught up in pleasing the audience your songs start becoming forced. When you see a performer you can tell, too. They’re not playing this song because they want to, they’re playing because they think someone is going to like it. They think they’re going to get famous because of it. You need to play exactly what’s true to you. SSG: I read that you have played and toured with Jimmy Eat World. How in the world did this happen? CMA: They’re from Phoenix. Jim approached me at my second CD release that I had in Phoenix. He just came to my album release and then that turned into him asking me to sing with him at this local venue for a charity. Then that turned into him asking me to sing on his latest album, which turned into me touring with them. It was an amazing opportunity, and they’re sort of local heroes in Phoenix. It was a blast. I got to take the back seat and not be the person in the front making all of the decisions and that sort of thing. I got to see the world for free because of it. And I got to play with them, and they’re all great guys. SSG: What was the difference between taking the backseat and being the front-woman? CMA: I really like both, and I think that’s why I am learning other instruments. I like feeding off of other people’s ideas. As a backing musician your responsibility is to fulfill others’ needs rather than to fill in those parts for yourself. There is definitely a lot less pressure when you’re a backing musician. 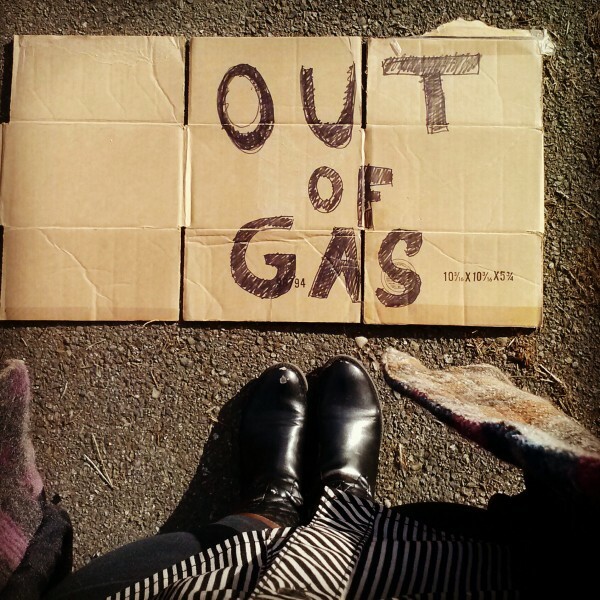 SSG: When was the last time you had to use your “Out of Gas” sign? CMA: OK so my gas gauge is broken. It starts to freak out when it goes out of gas, and I have gotten used to counting miles. At the time I had my keyboard player driving. I had [fallen] asleep. We were driving from Denver to Omaha at a slight in-grade the entire time. So counting miles was different. We all woke up and my keyboard player was like, “Well we just ran out of gas.” So I was just going to hitchhike. I put my thumb out and that was not working (sometimes it takes a long time). Finally my guitar player was like, “We could make a sign.” And someone came within two minutes. I haven’t had to use it since then. The last few times I have broken down I had been in town so I could just walk to the station. We might have to use it on this next tour though. SSG: As a musician have you had to learn anything the hard way that you wish someone had told you when you were starting? CMA: Yes. The business side of music. Working with somebody that isn’t necessarily someone you should be working with. Like not signing papers just because it sounds good. I think you have to learn everything the hard way. My first tour was a disaster—not really a disaster but I learned so much from it and now know how to plan it better. SSG: On My Page, your fifth album is coming out April 23. What was the process like for this album? How was it different from your previous ones? CMA: Well it’s definitely the quickest album I have put together. We did a Kickstarter for it, then I got in contact with Ryan Hedlock, the head producer/engineer at Bear Creek Studios in Woodinville. I gave him my stuff and he said, “Yeah let’s book some time.” We had a month for the band to learn the songs. Then we went in the studio and recorded the album in six days. And for that reason I love it because there wasn’t time to be perfect. It’s really raw; it’s 90% live. I think in the past I have had so much time to work on things and perfect things that it doesn’t sound like I would live. This is what we would sound like as a band if you were going to see us playing a show. SSG: How was it working with Ryan, who has also produced The Lumineers and Ra Ra Riot? SSG: Are you proud of any song in particular off the album? CMA: I mean there are definitely songs I am proud of on here. The whole album is really an album in a sense that all of the songs truly belong with each other. It’s hard to say. “500 Nights” is one that I like a lot that not many people have heard yet. SSG: How would you summarize this album and describe your heart behind it? CMA: Super organic, raw, slightly Americana sometimes. The songs are a lot shorter than previous records. Some songs are super country. SSG: How does it make you feel that your music is impacting people’s lives? CMA: It means a lot. It puts more worth on your music than fame. A lot of people are famous who have just alright songs that have no feeling whatsoever. Once about four years ago, it was raining one night in Phoenix. After I played this kid came up to me and handed me a little note and walked away. The note said “I want to wrap your songs up to keep me warm in the rain.” I still have it. When people say things like that, it’s nice to think that you are some sort of music doctor that goes around healing people. SSG Music recently had the privilege of premiering Courtney’s latest single “It Keeps Going”, which you can listen to here.